A tasty one-dish supper for 4 - ready in 15 minutes! This is one recipe where you're the boss... want more mushrooms? Throw them in! 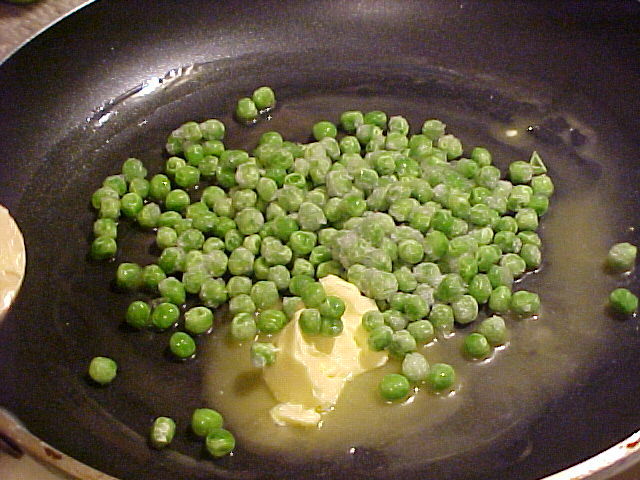 Want to leave out the peas? Go for it! You make it your way! 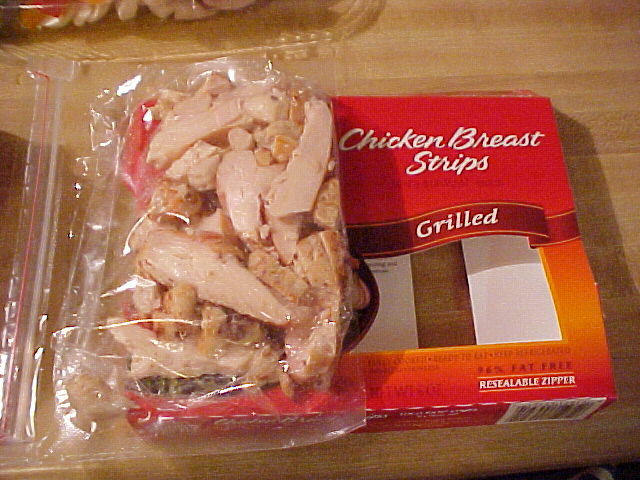 1 package of pre-cooked Chicken Breast Strips. 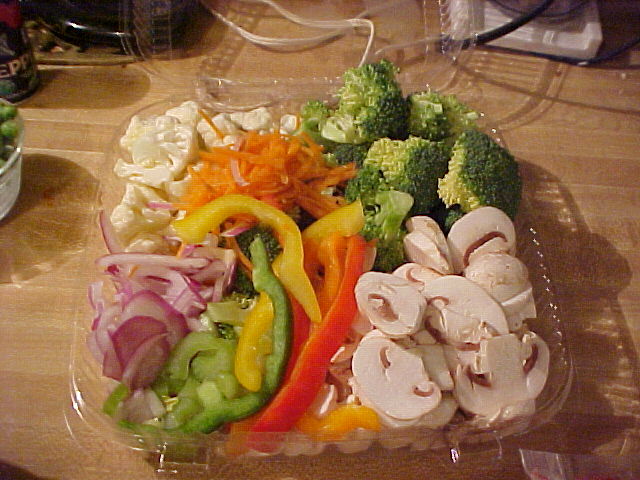 Here is the secret ingredient: a box of salad bar veggies, I've chosen mushrooms (we like lots of them! 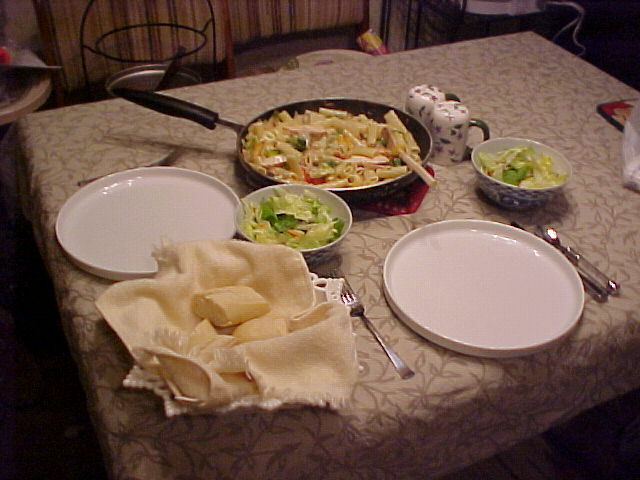 ), red onions, broccoli, cauliflower, red, yellow, orange and green pepper strips, grated carrots and celery. I usually also get some peas but in this case, I knew I had some frozen at home. 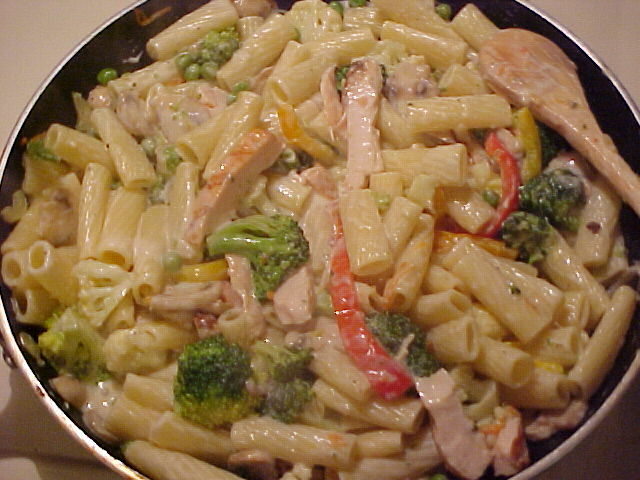 Feel free to add in frozen veggies if you have some on hand that you like. 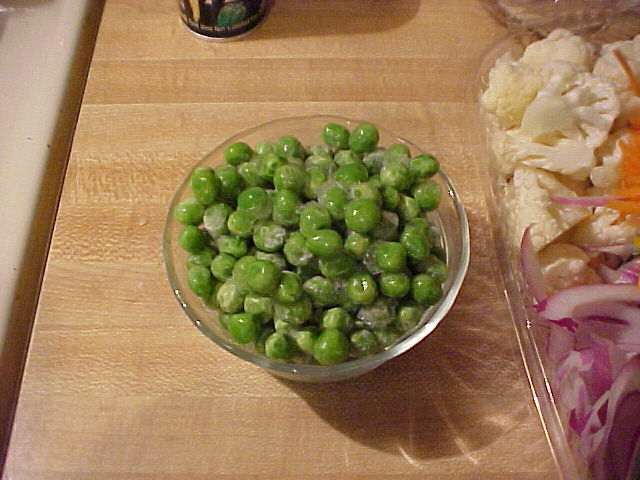 If you have some vegetables (fresh or frozen), feel free to improvise and add them right in -- here is about half a cup of frozen peas I added in to my creation. 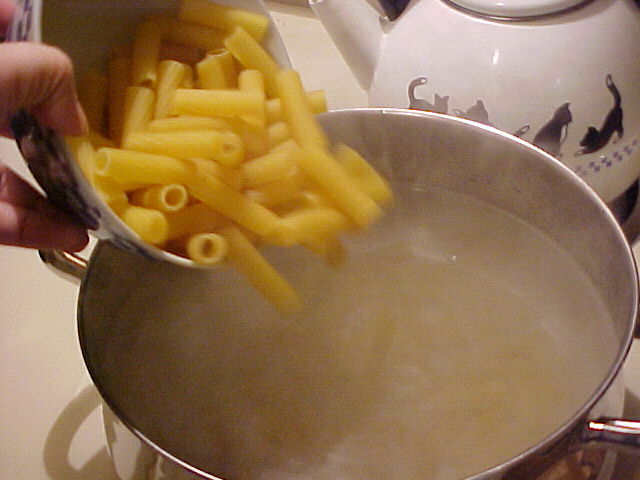 Add the pasta to a pan of rapidly boiling, salted water. Add 1 Tbs. 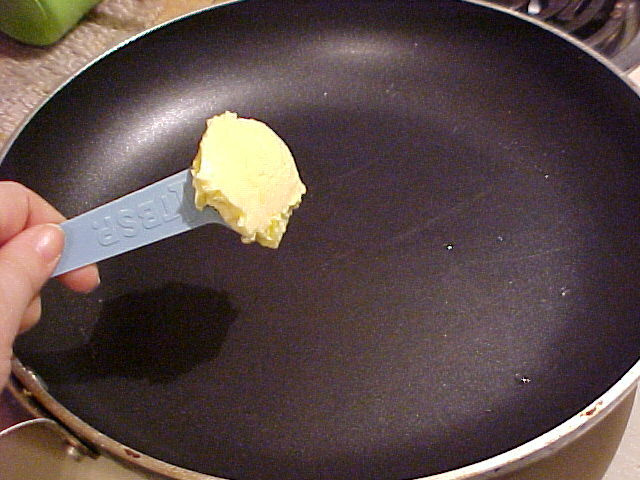 butter or margerine to your largest skillet. Melt the butter. 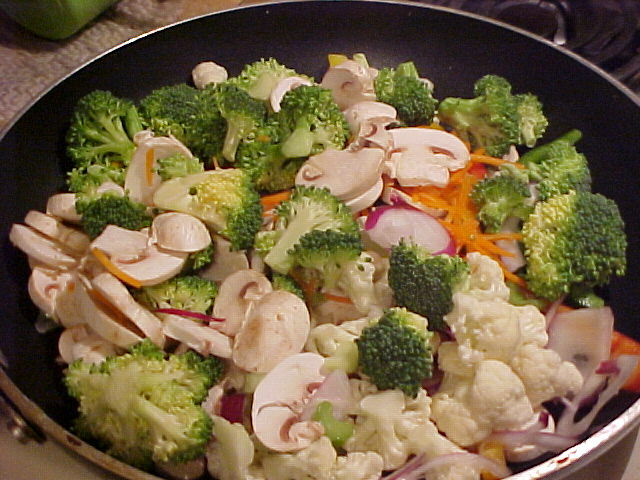 Add any frozen vegetables to the skillet first, so they get a head start. 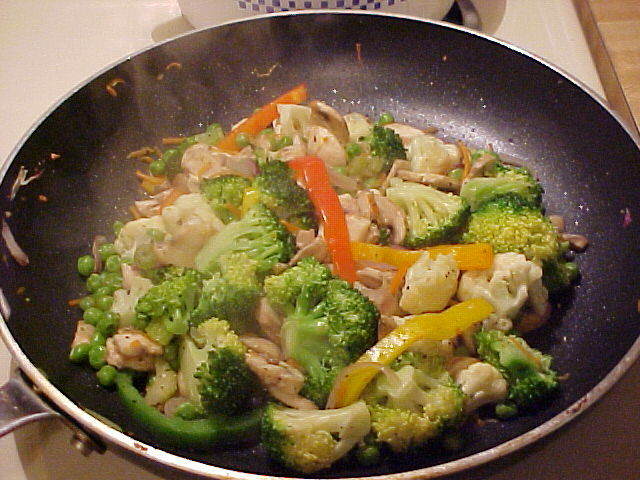 Add the fresh vegetables to the skillet and saute' until tender. 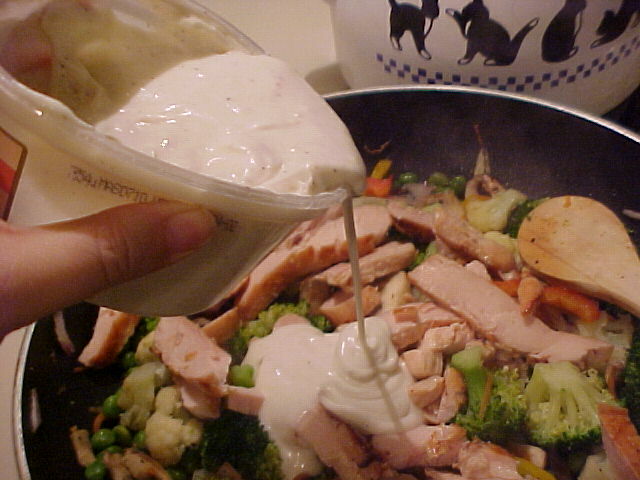 (You may want to put a lid on the skillet for a few minutes to hurry them up). Add salt and pepper. 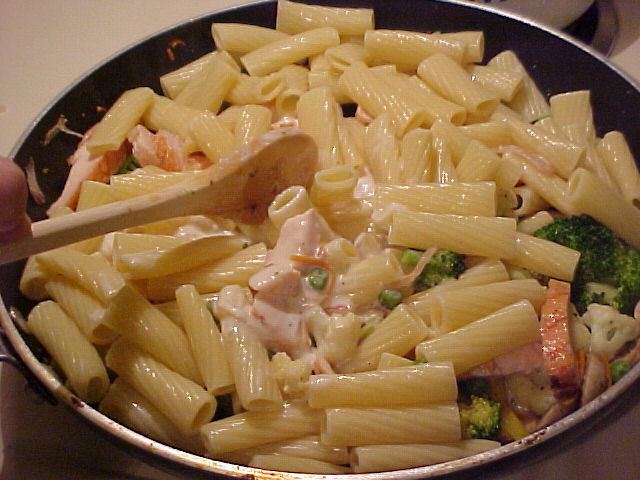 Drain and rinse pasta once it is tender. Cook the veggies till they're tender -- feel free to taste them to see! 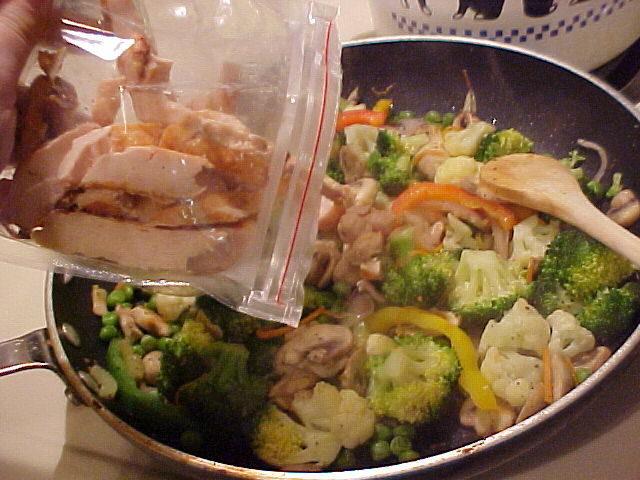 Add the chicken strips to the cooked vegetables. 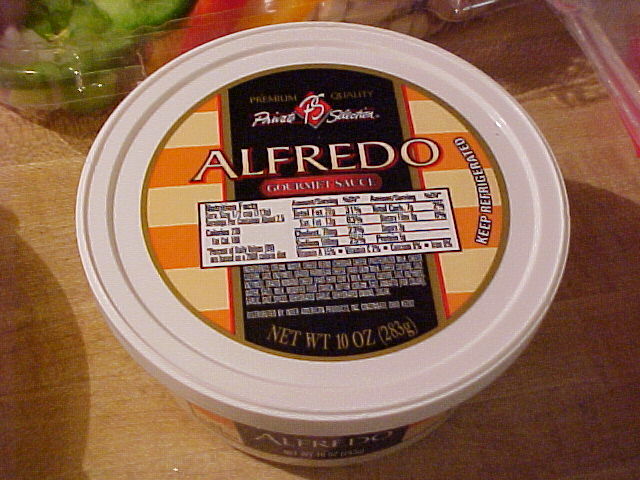 Stir in the Alfredo Sauce. Simmer till bubbly and then serve. 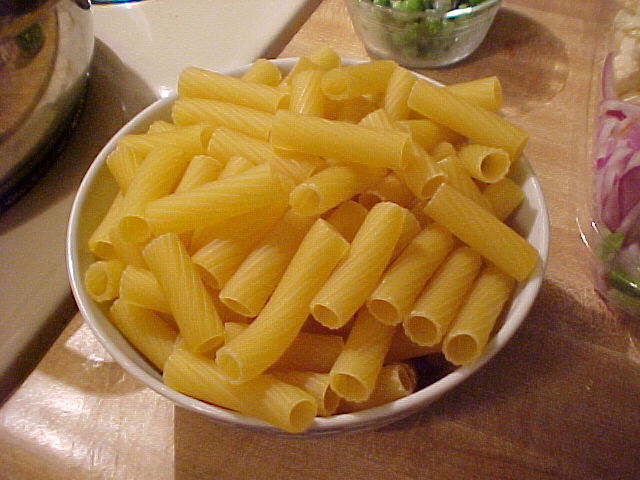 Serving suggestion: Serve with a nice salad and some fresh dinner rolls.